You will likely encounter a plumbing emergency at some point. A plumbing emergency can cost thousands of dollars in damage. It can also be scary to deal with a plumbing emergency. Fortunately, if you know what to do, then it will be a lot easier for you to cope with an emergency. The best thing that you can do in the event of a plumbing emergency is to shut off the water supply. If your toilet is the cause of the problem, then you can simply turn off the water supply to the toilet. However, if there is a major emergency or flooding, then you will need to turn off the main valve. In most cases, the water can be shut off by turning the water valve clockwise. You will also need to shut off your water heater in order to prevent it from being damaged. If you turn off the main water valve and keep the water heater on, then your water heater can overheat and burst. Make sure that you shut off the gas if your water heater is run by gas. The best thing that you can do if you are having a plumbing emergency is to call an emergency plumber Orange County as soon as possible. However, you should do a brief assessment of the damage before you call the plumber. The more information that you provide the representative with over the phone, the easier it will be for the plumber to fix the issue. The plumber will know what needs to be done before they come to your home. If you have leaks in your home, then you should try to stop it before the plumber arrives. You can use rags and leaks to stop a minor leak. You can also put a bucket under the source of the leak. Additionally, you can use Teflon tape or Plumber’s epoxy to stop a leak around your pipes and plumbing fixtures. It is best to wait for a plumber if you have a serious clog. However, you probably already have what you need to unclog your drain if it is minor. Plunging the area a few times will usually take care of most minor clogs. Do not use any drain cleaners because they can cause serious damage to your pipes and worsen the plumbing problems that you have. One of the keys to knowing what to do in the event of an emergency is to recognize one. The following can be classified as a plumbing emergency. 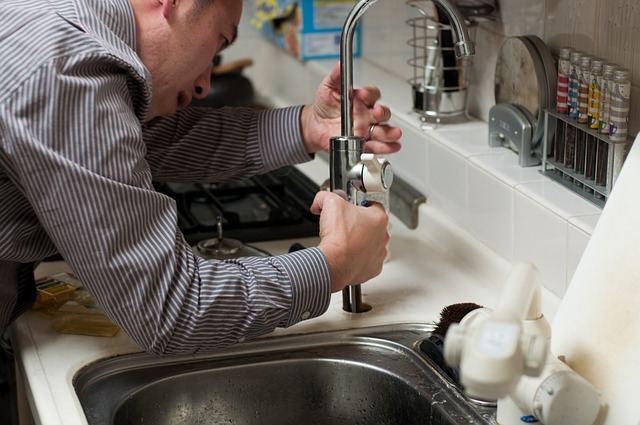 If you are in need of a plumber, then you will need to contact Apex Plumbing And Drain. Customer service satisfaction is guaranteed, and you will be able to promptly get service.